Q1: What plans does the TRF apply to? A1: All plans that provide primary major medical coverage to employees or retirees owe this fee. Major medical coverage includes medical plans that provide minimum value (that is, have an actuarial value of 60 percent or more) and all medical policies provided through the Marketplace. If the employer uses multiple separate plans or policies that collectively provide major medical coverage, one fee is due on that combined coverage. Q2: Does the fee apply to all types of plan sponsors? A2: There are no exceptions for small employers. There are no exceptions for government, church or not-for-profit plans. Grandfathered plans owe this fee. Union plans must pay the fee on their covered members. However, self-funded plans that are self-administered (that is, they do not use a third party vendor to process claims or eligibility) are exempt from the filing and fee for 2015 and 2016. Q3: Who must pay this fee? The insurer for fully insured plans. The plan sponsor of self-funded plans (this is typically the employer for a single-employer plan and the board or committee for a multiemployer plan). The plan’s third-party administrator (TPA) may assist with the calculation and pay the applicable fee on behalf of the plan sponsor. Q4: When is the TRF filing due? A4: The TRF filing is due by December 5, 2014, November 16, 2015, and November 15, 2016. (The due date is the same for both calendar year and non-calendar year plans.) Originally, the 2014 filing was due on November 15, 2014, but that deadline was extended. Q5: When is the fee due? A5: Employers and insurers may pay the fee in one installment, by January 15, 2015, January 15, 2016, and January 17, 2017, or in two installments each year. If paid in installments, the larger installment will be due January 15, and the smaller installment will be due the following November 15. For example, if the 2014 fee is paid in installments, $52.50 per person will be due January 15, 2015, and $10.50 per person will be due November 15, 2015. For the 2014 benefit year, the second payment was due no later than November 15, 2015. For the 2015 benefit year, it can be paid in one payment, due by January 15, 2016, or in two payments, the first by January 15, 2016, and the second by November 15, 2016. Although the fees are due in January 2016 and November 2016, information and payment scheduling is due by November 16, 2015. For the 2016 benefit year, it can be paid in one payment, due by January 17, 2017, or in two payments, the first by January 17, 2017, and the second by November 15, 2017. Although the fees are due in January 2016 and November 2016, information and payment scheduling is due by November 15, 2016. 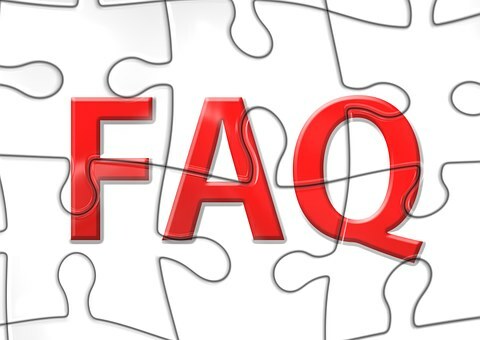 For the answers to over 20 more frequently-asked questions, including quick reference guides for due dates, request UBA’s free ACA Advisor, “Frequently Asked Questions about the Transitional Reinsurance Fee (TRF)”. For step-by-step guidance on TRF filing, including registration, completion of the Contribution Form (Form), uploading supporting documentation, entering payment information and available web training, view UBA’s free ACA Advisor, “Instructions for Completing the Transitional Reinsurance Fee Filing”.